There are several parallels between Anorexia Nervosa (AN) and cancer. Both diseases are severe and potentially fatal – the mortality rate of AN is similar to that of the most common form of childhood leukemia. Both can become chronic illnesses characterized by periods of remission and periods of relapse. Early, aggressive intervention is crucial in the treatment of AN as well as the treatment of cancer. Both diseases will grow and metastasize if left unchecked. Neither cancer nor AN is the patient’s choice or the parents’ fault. Chemotherapy is an aversive, painful treatment with unwanted side effects. The same can be said of re-feeding and weight restoration in AN – it is extremely anxiety provoking and difficult for the patient, yet it is necessary in order to eradicate the disease. Patients with AN, like patients with cancer, require a tremendous amount of help and support from caregivers for long periods of time. Blogger Cameron Von St. James, the husband of Mesothelioma survivor Heather Von St. James, wrote the following essay about caring for his wife during her battle with cancer. I think it may resonate with caregivers of patients with AN. When my wife and I walked into that doctor’s office on November 21, 2005, we didn’t realize that our lives were about to change forever. Until then, we were your average couple. We both worked full-time jobs and had welcomed our first and only child into the world just 3 months prior. As we sat in the doctor’s office together, we watched our lives transform into a chaos and uncertainty before our very eyes. The doctor read the diagnosis: malignant pleural mesothelioma. Cancer, and an extremely deadly one at that. I knew we were in for a long, difficult struggle. The doctor told us about treatment options. We could go to a local university hospital, a regional hospital that didn’t even have a specialist to deal with my wife’s form of cancer, or Dr. David Sugarbaker in Boston, a renowned specialist in the treatment of mesothelioma. My wife couldn’t even answer, she was so shocked and terrified. She turned to me as if to cry for help. I answered her silent plea by telling the doctor, “Get us to Boston!” That decision turned out to be one of the most important I’ve ever made in my life. Being a caregiver my wife was extremely taxing and difficult, but it’s a job that I knew I had to do to the best of my ability. I knew I had to be strong for her and be her rock. Inside, though, my life was in turmoil. My wife had to quit her job and required more and more care each day. As a result, I was working full-time, taking care of our infant daughter, and also taking care of my beloved wife too, whisking her to one doctor appointment after another, making travel arrangements to Boston, and making her comfortable at home. It was a full schedule and there were so many times when I felt like giving up, but I knew I needed to press on. During this time, I dealt with a multitude of fears that will never leave me. Medical bills piled up. I watched the love of my life endure pain and sickness that no one should ever have to endure. I feared what would happen to our daughter if my wife didn’t survive through this. Would she have to spend the rest of her life without a mother? And with a father that was broke because of all the medical bills? It was the hardest, most painful time I’ve ever lived through, and more than once the stress and pressure forced me to the ground in tears. I had bad days, but I never let my wife see my in my moments of weakness. I knew that she needed me to be strong, and I did my best to give her that. After months of surgery, radiation and chemotherapy treatments, Heather is cancer-free. She beat mesothelioma against all odds, and I am so proud of her. Two years after her diagnosis, I enrolled in school full-time to study Information Technology. I graduated with honors and am thankful to have been given the stage to give the speech at my graduation. It was there that I was able to see the lessons I learned and communicate my gratitude for the fact that my wife had beat cancer. My own lessons stay with me even today. I learned that I’m strong enough to take care of someone I love, even if it is scary and often painful. I learned to use my own stubbornness to work to my advantage. Most importantly, I learned that time is precious to us all and we should spend it with the people we love so much. It’s seven years later and Heather is cancer free, and we continue to raise our beautiful daughter with the lessons we both learned. It is our hope that our story of triumph over cancer can inspire others in their own battles. 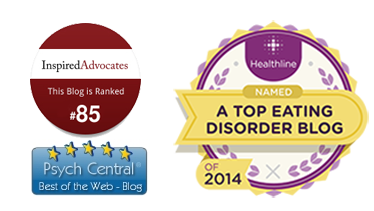 An essay written by a clinical social worker titled “Surefire Ways to Give Your Kid an Eating Disorder” has received a lot of attention in the blogosphere over the past week, including brilliant rebuttals by Laura Collins and Carrie Arnold. I wrote a reply to this essay on Ms. Lewis’ blog, but unfortunately she did not post it. I am not sure why my reply wasn’t posted, but I did notice that there are no posted replies from clinicians who strongly disagreed with the essay. Therefore, I have chosen to post my reply on my own blog. If you have attempted, unsuccessfully, to post a reply on Ms. Lewis’ blog, please feel free to post here. As a general policy, I post all replies except spam. As a psychologist specializing in the treatment of eating disorders in children and adolescents, I was profoundly disappointed to read this essay. 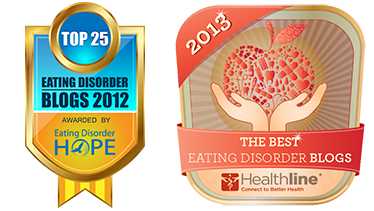 I have grown accustomed to hearing myths about eating disorders from lay people and from the media, but I hold professionals to a higher standard. Professionals who write articles for public consumption have an obligation to be accurate, up-to-date, and straightforward. For decades, psychologists and psychiatrists theorized that cold, withholding parents caused their children to develop autism, that erratic parenting caused schizophrenia, and that overbearing or perfectionistic parenting caused eating disorders. More recently, these theories have been disproven. While the precise causes of these illnesses are unknown, we do know that these are highly heritable, biologically-based brain disorders that are definitively not caused by any particular type of parenting. A parent who is a “neat freak” – who uses hand sanitizer before every meal and requires his child to clean his room thoroughly twice a week – cannot give his child OCD. A child cannot acquire a parent’s mental illness by imitating his behavior. By stating that encouraging perfectionism, withholding emotionally, and using food for rewards and punishments are “surefire ways to give your kid an eating disorder,” Ms. Lewis reveals her ignorance about her own area of expertise. She conflates body dissatisfaction with eating disorders and thereby inadvertently trivializes the most deadly of all psychiatric illnesses. I respectfully urge Ms. Lewis to educate herself on the most recent scientific knowledge about eating disorders and to revise her essay to reflect this knowledge.